King Pine can be the ideal place to ski or ride. Additional adventure can be found at the Twisted Pine terrain park. King Pine at Purity Spring Resort does offer night skiing and snowtubing. Additional King Pine amenities include an indoor pool and hot tub. An alpine ticket also gets you cross-country skiing, snowshoeing, and ice skating while the ticket is valid. 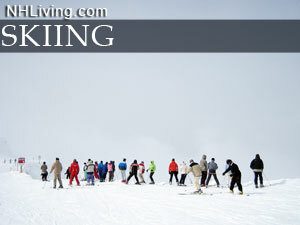 Share your King Pine Ski Area reviews or comments, contact us. 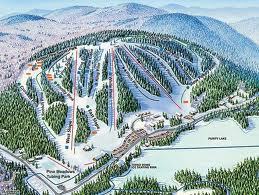 King Pine Ski area features 3 triples, a rope tow, a magic carpet and a tow-handle lift. Alpine and snowboard rentals and lessons are available. This ski area is known for it’s family friendly atmosphere, affordability, impeccable grooming and consistent snow conditions. Additional amenities at King Pine and Purity Spring Resort include; night skiing, snowtubing, sleigh rides, nordic skiing, Zamboni prepared ice skating, an indoor pool and fitness center. Getting There: King Pine ski area is located off Route 153 in East Madison. Take Route 16 North to Center Ossipee, take Route 25 East (5 miles) to Route 153 North (6 miles).